How well do you know your customers? You might have some insight into their browsing habits or demographic information, but do you know what their hopes and dreams are? That might sound silly or unnecessary, but the more you know about your customers the easier it is to understand, anticipate and meet their needs. One way to get a better sense of your customers and what makes them tick is to create a customer profile (also known as a buyer persona). Having a customer profile makes it a lot easier for you to imagine the type of person that you’re trying to reach and how to communicate with them effectively. What Should Be Included in a Customer Profile? A customer profile or buyer persona should suit your business’s needs, so there’s no one perfect template, but generally they are made up of demographics and psychographics. Demographic information can include things like age, gender, race, marital status, family size, household income, location, etc. It’s pretty generic snapshot information about your customers. It can give you some very quick insight into who your customers are. However it’s really important not to make too many assumptions based on demographics alone. We’ll discuss that a bit more later and how to avoid some common mistakes when analyzing data. If demographics are who your customers are, psychographics are the why. Psychographics include things like personality traits, interests, values, attitudes, activities—you know, all the things that make someone a well rounded person rather than just a statistic. Psychographics help you have a much more meaningful understanding of your customers and how to connect with them. There’s no one size fits all customer profile template that’s perfect for every business, but here are some things you might want to include. Name – This is just to personalize your customer profile. The name should reflect the demographics of this segment of customers. Job Title – Do most of your customers have decision making roles? Are they in high stress jobs? Come up with a job that fits the type of work this segment tends to do. Demographics – What is the average age, gender, household income, family size, marital status, location, etc? Goals and Challenges – What do they want to achieve? What are their personal and career goals? What problems do they have that your business might be able to solve? Buying Habits – Are they a decision maker? Do they research purchases or impulse buy? Do they favor quality over economy products? Do they seek out referrals and reviews? Where to find them – This could mean physical locations, or online spaces. Find out where they spend most of their time and what social websites they use. Learn what they read online and offline. Not only does this help you understand their interests, it helps you know where to advertise to them. Activities – Everyone has a hobby or an activity that they enjoy. Knowing what your customers do with their time could impact how you market to them. Interests – What do your customers think about? This could include things like becoming a better parent, advancing their career, improving their health, etc. Attitudes and Values – It’s important to understand your customers values so you know the best way to communicate with them and earn their trust. There are a few different approaches to gathering data about your customers and if possible, you should incorporate all of them to have the most complete picture. Conducting your own research is ideal because you have the most control over the questions you’re asking and who you’re reaching out to. This includes customer surveys, focus groups, interviews and analytics. Using all of these methods together, in a specific order can really help you get a clear picture of your customer segments. Starting with analytics, see how much you can glean and then move on to a survey to get more specific. If the survey leaves you with unanswered questions, you can follow up with an interview. Then you can conduct some focus groups to see if you’re on track. If your business is just starting out you may not have a customer base to survey or the resources to conduct studies and focus groups. That’s okay because a lot of that has been done already. It may not be as specific or insightful as primary market research, but it’s a place to start. You can find public demographic information from resources like the US Census Bureau. You can also find journals and blogs about your industry to follow trends and research that might be useful to you. Another useful resource is trade associations, which may require a fee to join. And of course, if your competitors publish annual reports, read them! Once you’ve gathered all of your customer data and started analyzing it you will notice certain trends. The goal is not to narrow things down to just one customer profile and throw out the rest. Your goal should actually be to group your customers into a few different segments so you can target them effectively. You may find that customers of different age groups spend their time on different social media platforms and value different things. Now that you know that, you can reach both groups in a different place, with a different message, targeting them more effectively. Your should have at least 2 or 3 customer profiles to make sure you’re not leaving out any significant portion of your customer base. Putting together customer profiles for a B2B company takes a slightly different approach, but the same principles still apply. Demographics in this case might include industry size, number of employees, revenue, who their customers are, etc. Psychographics might include things like financial goals for the year, corporate culture, challenges and obstacles, etc. Similarly to a customer profile, you also want to know things about their buying habits. Who is the decision maker in the company? Are purchases made by one person or by committee? What kind of budget do they have for your products and services? What other B2B relationships do they have? After doing research and analysis, you should have several buyer personas that represent the most important segments of your customers. Good job! Now, the question is, what have you learned that’s actionable? A successful customer profile should give you the information you need to reach your customers more effectively. That includes knowing exactly where to advertise and how to write copy that resonates with your customers. Based on what you learned, you might even create new products and services to meet your customers’ needs. It also means, hopefully, you can avoid making huge mistakes and wasting money on promotions that would not engage your customers or creating new products that wouldn’t interest them. The only way that creating a customer profile works is if you do it effectively. The goal is to get into the mindset of your customers and figure out the best way to communicate with them and solve their problems. If you make assumptions or research the wrong topics, your buyer persona will be significantly less effective. Actually, this is a pretty good rule in marketing in general right? We’re supposed to test things, do market research, ask questions, test things again… you get the idea. Customer profiles work the same way. You have to use real data, rather than your gut. It can be easy to make things up that sound like they make sense, but it’s important that you do thorough research. To avoid making too many assumptions about your data, write down your assumptions before you even begin your research. Make sure you challenge those assumptions. Also make sure you’re not accidentally ignoring data that might be contradictory to your original theories. Ask your team to point it out when you’re making assumptions. One of the most common mistakes when creating a customer profile according to Aaron Agius, Founder of Louder Online, is not interviewing enough people. If you only have data from a few customers you just don’t have enough to information to be accurate. If you don’t have enough customers yet, supplement some of your data with secondary marketing research. When conducting surveys, it’s really important to pay attention to your wording. Otherwise you might unintentionally skew your results. When people are being observed or recorded they tend to answer questions how they think they should, rather than honestly. This is called “Social Desirability Bias” and it can skew your results. When asking questions like “Would you donate to charity?” or “Have you ever pirated a movie?” people might answer dishonestly to make themselves look better. You might also impact how someone answers a question based on a previous question. To avoid this problem, it’s a good idea to send out randomized surveys with the questions in a different order. Looking at your analytics and talking to your sales reps are great places to start gathering information… but they can’t give you the whole picture. There’s still too much room to make assumptions about what motivates your customers and the reasoning behind their spending habits. In order to take things to the next level you need to hear from your actual customers and conduct your own survey. Yes, dig deeper, but unless you’re a sporting goods company, do you really need to know what your customer’s golf game is like? Probably not. Get specific, but make sure you’re asking the important questions. Back to that whole, don’t make assumptions thing, assumptions about demographics can drastically hinder your ability to connect with your customers. Bic famously drew negative attention by applying the “pink it and shrink it” tactic, creating the Bic pen “For Her.” The packaging suggested that the slimmer design of the pen would be more suitable for women, which begged the question were pens previously unsuitable for women? It was a marketing fail that lead to hundreds of bad reviews on Amazon and a satirical takedown on The Ellen Show. This oversimplification and misunderstanding of women’s values not only misses the mark, but actually alienates a large part of the demographic. It’s also important not to leave out any demographics based on your assumptions. Most surveys leave out people under 18 and lump anyone over age 65 together. Alex Powers who works in marketing recalls a children’s show he worked with that targeted parents only, leaving out grandparents who often play a major role in raising children. It’s easy to imagine how many other groups get left out of market research based on biases, rather than facts. One way to minimize biases when analyzing your research is to hire a diverse team with different skills and perspectives. It’s important not to make any assumptions about a demographic, especially if you aren’t a part of it. It’s important to reevaluate your customer profiles every year or so. Your existing customers might change their priorities and i’s important to know if that happens. You might also attract a whole new customer base you didn’t have before, so you better get to know them too! If you have any kind of email marketing strategy then you’ve almost certainly sent out an eblast. You know, that one-time email you send to all of your customers to let them know about a sale or new product or service. Maybe you’re pretty advanced and you’ve segmented your list or sent out A/B test emails. You might even have some stellar personalization built-in. That’s great! But now it’s time to up your email game and start a drip campaign. Real quick, what is a drip campaign? A drip campaign is a series of messages that are “dripped” in a predetermined order. They can be automated with email autoresponder software, making it easy and time effective to build a strong rapport with your customers. You can also create specific email sequences based on your customers’ site activity. For example, anyone who abandoned their cart may get an email reminding them to checkout. 1. First email triggers upon signup with a “welcome” message. 2. Second email sends 1 day later, asking them if they need any assistance with their account. 3. Third email sends 3 days later and points out a cool feature or product you offer. These are just quick examples of how a drip campaign works. The specifics are really going to depend on your goals, which we’ll get into a little later. Does a drip campaign make sense for my business? You may have already considered one, but came up with excuses not to bother. Any of these sound familiar? But the truth is, if your email marketing strategy doesn’t include a drip campaign you could really be missing out. According to Epsilon’s Q4 2016 Email Trends and Benchmarks report, triggered messages had 50% higher open rates than BAU (Business as Usual) messages. They also get 119% higher click rates than eblasts. That’s too good to ignore. Your business does need a drip campaign. And while setting up a drip campaign initially seems like a lot of work, it’s a one time thing. Set it and—well not forget it—tweak it. But only occasionally. Promise. If email marketing hasn’t worked too well for you so far, it might actually be because you haven’t tried a drip campaign yet. Not every business is going to be able to offer exciting flash sales or get customers pumped about new products. Sometimes a lead has to be nurtured in a very specific way. That’s where drip campaigns shine. The first thing you need to get started on a drip campaign is a specific goal. Every email you send should be focused around that one goal. Your goal is going to be different depending on what kind of business you have, so let’s look at some different types of goals. This one is obvious right? Traditionally email marketing focused on sales relies heavily on the eblast. You’ve got a new product… time to send an email! You’re on sale… time to send an email! You put a bunch of stuff on clearance… yeah, you guessed it. Nothing wrong with doing this. Especially with a little nuance, like sending eblasts about a specific brand to customers who’ve purchased that brand in the past (gotta love segments). But if this is your ONLY strategy you’re missing out on that sweet welcome email magic. Welcome emails have a 50% open rate—FIFTY PERCENT! Are you overloaded with customer questions? Even though you have an FAQ and knowledge base? A drip campaign might be a good way to get those answers in front of your customers (instead of making them look for them). Remember that 50% open rate for welcome emails we just talked about? Use that to your advantage! Put your top 3 frequently asked questions right at the bottom of that email. Follow up with other tips and answers to common questions. Your CSRs will thank you. People are busy. And forgetful. And get bored easily. They might be really excited about using your website to learn French week 1, but eventually life gets in the way. C’est la vie! So your job becomes being motivating and interesting. A drip campaign can help you re-engage with colder leads. Entice them to log in. Ask them to come to your site to finish filling out their profile. Ask them to tell you about their goals. Ask them to find other users they may know. Keep giving them reasons to come back! If your service relies on your customers understanding how to use it, this kind of drip campaign is the way to go. You have so many features and so many tools and you can do so many AMAZING things… but… there’s a bit of a learning curve. Even if you offer training and one-on-one time with each of your customers, a little refresher never hurts! Sure, there’s nothing stopping them from going to your site and watching tutorials or reading help docs—but there’s nothing making them either! Your educational drip campaign serves double duty as a training tool and an engagement strategy. So you’ve figured out your goals you can start writing, right? Well actually there’s another step that is easy to overlook, but super important. Figuring out what your customers are getting out of this! They’re just going to hit unsubscribe (or worse, mark you as spam) if they’re not benefiting from this in some way. Did you promise them a freebie or a discount? Will there be more in the future? Do they want to learn how to do something? Are you giving them a clear outline of what they will learn over time? What information do your leads need to make decisions? Figure out what your customers need to know to buy something, signup or stay subscribe and make sure your emails include that information. Do your emails provide value? Ask yourself honestly if you’d be happy to receive your own emails. Are they blatantly self-promotional or do they actually offer something substantial? Okay, so… how often should I be emailing my customers? Your industry and your customers may vary. If you already have a list you’ve been sending eblasts to, maybe take a look at your unsubscribes for insight. If a lot of people checked off “received emails too frequently” you should definitely take that into consideration. But don’t be afraid to keep your customers engaged a lot in the beginning. You want to introduce yourself, make sure they know you’re there if they need you, and answer any questions they may have. What should I be sending my customers? This obviously is going to vary quite a bit based on your specific goals and industry, but here’s a general outline to get you started. Of course your final outline will be much longer if you want to keep your customer engaged on a long term basis. For the sake of this example, let’s assume you’re offering a free 7 day trial and you want your customers to sign up for your service. Your welcome email, the one with the HIGHEST open rate, is important. This email can go out as soon as they sign up. In fact, if you’re offering a discount or free download, they will expect it. Use this opportunity to introduce yourself. Use their first name. Don’t use a spammy title. Let them know what to expect from your communications. Make sure you make a good impression. It’s day 2 and you want to check in and ask how are things going? This email should not only highlight any product or service you want them to know about, it should make them feel welcome. You’re here if they need any help getting started. This is the moment you want to make sure they are using their free trial. If they aren’t, they’ll let 7 days pass and forget about you. Use a call to action, anticipate their questions or offer training. Remove any barriers they may have from getting started. Keep your customer thinking about you with another email a few days later. (This is especially important if they are in a trial period.) You want to just point out a really cool feature or product and keep them engaged. Yikes it’s been 5 days and this user hasn’t logged in or engaged at all. Try to close the deal! Email #5 – Still Nothing??? Okay, it’s day 7. Do or die. Here’s where you want to offer a deep discount. 50% Off. Today only. This is where you return to the main plan. Depending on the goals you established earlier you might be offering them training or telling them about a new product or service. From here, you can get as creative as you want with ways to engage your audience that makes sense for your business. After a few months of emails going out to users it’s time to assess your campaign. Check out open rates, clicks, bounces and see which emails are performing the best. Consider your subject lines and look at which ones have the highest open rates. Are your emails starting off strong and then getting less opens and clicks over time? Are you getting a large amount of unsubscribes for one particular email? Pay close attention to your subject line, when it’s sent and what message it’s sending. Look for ways to improve your drip campaign. Maybe you’re sending emails out too frequently. Maybe you’re not answering the right questions. Maybe your subject lines need work. Even if you’re doing well, that doesn’t mean there’s not room for improvement. Now that you know the basics to get started, it’s time to start writing! Whoops, actually, it’s time to create some landing pages. If you know you’re going to be pointing customers to specific places on your website, make sure those landing pages are polished first. Draw a diagram or outline of your emails. Figure out the subject matter, order and frequency. Now it’s time to write your emails. All of them. It helps you have a consistent voice if you do all of the writing at once. You are in the zone and goal driven and every email will lead back to your goal. Make your emails personal. Use their name. Introduce yourself. Tell them how to reach you. Don’t write a novel. Avoid walls of text. You want short, consumable sentences and phrases. At least in the beginning. It’s okay if eventually you move on to longer form emails. Your long time subscribers won’t mind because they already expect good content from you and want to hear from you. Include a call to action. Keep your goals in mind and make them clear to your customer. Add a PS or PPS to get people to remember something. People tend to remember the very last thing they read, so this is a good opportunity to point out something important. It also adds that personal “written letter” vibe. Add suspense. If you’re teaching your customers something, tease them about tomorrow’s lesson. If a new product is coming out, mention it beforehand. Keep your customers anticipating your next email. Now you should have everything you need to get started on a killer drip campaign and make the most out of your list. Do you have any tips or feedback? Please add them in the comments. Welcome to this week’s how-to, where we’ll be covering one of my personal-favorite tools for lead generation: the Question/Answer Widget, or “QA Widget” for short. The QA Widget is sort of the middle-ground between live chat and a basic “contact us” form. It provides the ease of using a contact form without your customers worrying they’ll never receive a reply, and combines that with the personal touch of live chat without requiring a big budget (from you) or a time commitment of unknown length (from the customer). When a customer asks you a question, the likelihood of them buying from you is dramatically increased. With the QA Widget, your customers have a quick way to send you their inquiry. Should You Use the QA Widget? If you offer B2B services or you have an ecommerce model, then absolutely. Compared to a standard contact page, the QA Widget has ten times the success rate, and several major sites already use them (we’re integrated with Salesforce and HubSpot, for example). An example QA Widget in use by a ventilation business. The QA Widget brings with it seriously increased conversion rates, and its customization means that it isn’t limited in style or application to just one type of site. As seen in the example above, the QA Widget can have a chat-like design without requiring immediate response from you. After the customer enters their info and their question, the QA Widget displays a thank-you message (which is also fully customizable) and their query is sent to you for response at a time convenient to you. Getting a QA Widget set up for your site is a quick and painless process! The first thing you’ll do is log in to your Digioh account. From there, select the “New Lightbox” button. Scroll down a bit until you find contact-type Lightboxes, and select the one you best like. For this tutorial I’ll use the sample legal assistance box. Once you’ve chosen the Lightbox you want want to use, go ahead and select it and give it a name. Go to the main Lightbox page and select it. Now that you’ve selected a Lightbox, you have a few options for how your QA Widget will function. I’ll cover two of them here: timed + on-click, and only on click. And you are good to go. Adjust the number of seconds as necessary. 1. Change the number in the drop-down to something extremely high, like 4000. At that rate, a user would have to stay on a given page for more than an hour before the QA Widget would open itself. 2. Go back to the main Lightbox editing page and select the “Teaser” tab on the left. Make sure the “follow me” option is turned on. All there is left to do is to customize it to your liking. You can change text, you can move things around or resize them, you can personalize the coloring, and you can do so much more! The possibilities are nearly endless. Use a casual (but personal) image. For many businesses, a selfie or other nonprofessional image can help your customers feel more connected to you. If a customer submits a question expecting to get an immediate answer only to find that they have to wait for a reply, they can feel cheated. Make it clear that you’ll get to them soon without letting them think a response will be instantaneous. Avoid a generic “contact form” look. We’ve all filled out a contact form in the past only to have our inquiry enter the black hole of no response. You will generate more leads if your customers are confident they will hear from you. Don’t ask for too much personal information. You may find it best to ask for things like a ZIP code or a phone number, but for some businesses this can be off-putting to customers. Combine it with the Teaser Follow. With the Teaser Follow, your customers will be able to find and use this form no matter where they are on your site. You can read more about that here. Like I said at the beginning, this is one of my favorite tools. It’s so versatile and it’s so effective at converting, and it’s so easy to set up and personalize! There are a lot of options and tweaks you can make to it, so if you find yourself overwhelmed (or maybe you just can’t make that final decision), the Digioh team is happy to help out and can be easily contacted. That wraps things up for this week’s how-to. Have you had experience with the QA Widget? Tell about it in the comments below! Do you know that Buffer has stopped building their email list? Well, because they didn’t get what to do with the humongous blog subscriber list they were building. Instead of building that list, Buffer has started concentrating their efforts on getting people to sign up for their free plan. Do you find this strange — the stopping of the list-building exercise? But then I read on to know why and realized that they’re interested in leads and not just emails. Perhaps you too are building your email list. But the problem with most “list building” solutions in the market is that they just help you collect emails (even if they do it well). That’s all they do. And that’s the best you can expect from them. But when you’re into serious business, you need to do better than that. You want to do more than just collect emails. First, you need to start thinking in terms of a lead-base and not a subscriber-base. And that’s why you need a solution that doesn’t just give you an email but also gives you insights into how you got that email and how you can handhold that lead into becoming a lifelong customer. Digioh is a disruptive lead generation solution for businesses of all sizes. The differentiator between Digioh and all the other lead-generating solutions is that Digioh is almost psychic! Really — it has some super powers when it comes to generating (and handling) leads. Basically, it won’t just ADD another email to your list. Tell you the subscriber’s story. Digioh will tell you a data-backed story of how someone got added to your list. A story that gives you, the marketer, as many insights about the subscriber as you need to make laser-targeted offers. You’ll know if the subscriber was referred by a search engine or came from some of your campaigns. Help you leverage the data using powerful rules and handhold your leads further down your sales funnel. Digioh comes packed with a number of rules (with practically unlimited possible combinations) that you can use to pull your leads further into your sales funnel. For example, you can set a rule to show a particular popup only when a user is referred by a search engine and lands on a particular URL on your site. Any maybe you could choose to show another popup when the lead is referred by a particular domain. Suppose you have an online store and some third party site reviewed an item from your store. So people who click through the review and land on that item on your store are obviously interested in that item. With Digioh, you can show such a visitor a very customized offer. Even better, you can offer a discount coupon to these quality leads right when they get on your site! The visitor may or may not have found a discount coupon. … and then you know how distracting the internet is. In most cases, you would have lost the lead by the third step. But as you saw above, Digioh cuts short the lead generation process by 3 steps by enabling you to make a super-targeted offer the moment the visitor lands on your site. Digioh is indeed the best lead generation software because it’s almost like your site’s salesperson, always on its toes — engaging leads as they drop on your site. Digioh lets you run different versions of lightboxes and other optin forms so you can see which one works best for you. You might be surprised to find that by just changing the color of your CTA buttons, your conversions could go up! Digioh shows you what’s working for you. Once you start interpreting the data that Digioh collects, you’ll start seeing patterns, and you’ll know what messages and channels appeal to the different segments of your audience. And then you know the drill, you keep repeating (and tweaking) all that is known to work. With the right insights and extreme control, Digioh lets you stay on top of the lead generation game. Now that you know what Digioh is all about, let’s take a closer look at its features and how you can benefit from them. It’s true: it all starts with your site visitor’s email and that’s all you want initially. But would you approach a blog’s reader the same way as you’d approach an online store’s potential buyer? You need different approaches, different offers, and therefore, different TEMPLATES. Digioh comes packed with 50+ templates suitable for making different kinds of offers. You can choose one that suits your offer the best. What’s noticeable about the template designs is that they’re designed to boost conversions. The yes/no template: The yes/no template works because it forces a reader to decide. With the yes/no template, turning down your offer to subscribe isn’t the mindless hitting of the cross button on your popup. Instead, the visitor has to decide about the option to choose. Chat template: With the chat template, you can give your users an impression of live chat and get them to submit their queries. You’ll be surprised by how effective this template is. You also get the full-screen subscription form — the one that covers the entire fold area. While all the templates are ready for deploying with minimal editing, if you’d like, you can choose to customize each element of a template. As you can see in the following screenshot, the live preview option lets you see all your changes as you make them. Digioh doesn’t restrict you to just lightboxes or popups. You can create conversion-friendly subscriptions bars that remain sticky as a user scrolls through your site. Using sticky bars like the above, you can direct your traffic to a specific page of your choice. You can either show them on your site’s top (as Amazon does) or show it near the bottom of the fold area. Because of the high visibility that sticky subscription bars/boxes get, they’re absolute hotspots for collecting leads. I’m sure the best that you’ve seen with targeting is choosing to show specific popups on specific pages. Most lead generation tools allow that. But Digioh takes it to a whole new level. Digioh lets you target your visitors based on their source, geographic location, engagement level, referral, device, and so on. You can use Digioh to create a sequence of popups with each popup linking to the next popup in the sequence. Such sequences get great conversion rates because they engage the prospect early in the process. You can use this feature in a number of creative ways. For example, you could use it to create a quiz where popups show the different questions. And then maybe you could ask for your users’ emails to send them their scores. This is also called the foot-in-door marketing technique where you ask the prospect to do a small action (take the quiz) and then do the big action (share email). In the following video, Rishi shows how you can use Digioh to create conversion-friendly popup sequences and leverage the foot in the door marketing method. If you use UTM parameters like most people, then probably the most that you get from them is some data about your campaign performance. But if you look at how people are now starting to use UTM parameters, you’ll be baffled. Lots of companies now transfer the UTM data from the site cookies directly to their CRM software or their email marketing software. Importing such raw data about a user enables companies to make informed marketing decisions. This information is also very handy when it comes to segmenting email lists. Segmented campaigns are known to get 59.99% higher clicks than non-segmented campaigns. Not all lead generation tools allow you to capture such data. But Digioh has you covered. For all the people who join your list, you get emails with a lot of details about them. As Digioh integrates with most of the popular CRM software and email marketing services, you can use the above data to segment your lists and make highly relevant offers to the different segments. In the greater sense, you can use this data to calculate the ROI of your different marketing channels and campaigns. You know how some sites keep on showing their email subscription forms to you even when you’re a subscriber. But with Digioh’s global settings, you can make sure that your site doesn’t annoy its visitors, especially the subscribers. Digioh’s global settings are rules that apply across all your lead generation forms. Choose a ready-to-use template from Digioh’s template library. Customize the message and brand it by adding your logo. After designing your lightbox, your next step is to decide when Digioh should show your lead generation form. For example, at this step, you could decide if your lead generation form should only be shown to people from a particular geographic location, or if it should only be shown when a person lands on your blog for the first time and scrolls down your content. You can also choose the number of times that your lead generation form is shown to each visitor. It’s possible to combine different rules. Once your popups or lead generation forms are live, start integrating the data of each lead with your CRM software. By sending this data to your CRM or email marketing software, you can segment your lists and make laser-targeted offers. Gleanster states: 87% of top-performing marketers say targeting campaigns to audience segments and individual consumers is the largest value driver, with 78% listing segmentation as the #1 marketing-automation capability they can’t live without. With Digioh, you can test different versions of your optin forms/bars/boxes against each other and choose the best one based on their performance. You could run a test for a fixed number of impressions for fixed lengths of time. Just the way a great story has a beginning, a middle, and an end, a customer journey too has a flow. One that begins with discovering your business, getting on your list, and converting. A lead generation tool like Digioh gets into action the minute a lead discovers you and lands on your site. And then Digioh helps you engage the lead and convince him or her to get on your list. Finally, Digioh lets you make ultra-targeted offers that seem so relevant that your leads just can’t ignore. 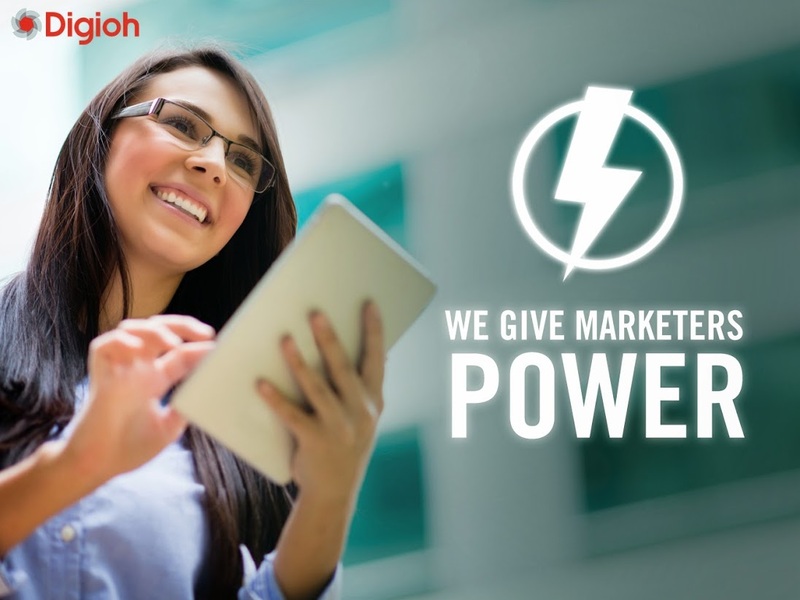 Digioh powers the lead generation for more than 2000 brands. See what Digioh can do for your business, book your free demo now. P.S As a Digioh customer, you can speed dial the Digioh team, and they’ll work with you so you can excel at generating leads. Renee Harris, owner and founder of MadeOn Skin Care Products, created her first lotion bar out of desperation mixed with creativity. The creativity came from the pleasure she took in making things in the kitchen, whether soap, bread or juice. The desperation came, literally, from her hands — the pain she constantly had from cuts and splits and dry skin she got from going about her daily activities. Not only did that bar heal her skin within days, it cured her son’s seasonal eczema. The results prompted Renee and her sons to take the bar to the local farmer’s market for testing. The feedback was positive and MadeOn Skin Care was born. Since the start of its market presence in 2009, MadeOn has become exclusively an e-commerce site. From a one-product shop, it has expanded its offerings to include remedies for other common skin problems. But what really makes MadeOn unique is that it reveals the recipes for its products so customers can make them at home. MadeOn Skin Care was looking to increase its revenue for Fall 2015. Rather than hike prices or add more products, it chose to focus on growing the number of email subscribers. MadeOn had good traffic coming to its site but Renee felt the conversion rate for the traffic could be improved. She wanted a chance to interact with the newcomers and introduce her products in that few-second visit before they left the page. MadeOn had been using a popular competitor modal popup that just wasn’t doing the job. What it specifically wanted was the ability to deliver a targeted message based on traffic source. “I needed the correct message to nurture the new leads. I wanted to personalize it. I also wanted to make sure my regular customers were ‘captured’ on the site as regulars. After looking at a number of alternatives, MadeOn chose the Digioh Lightbox as the right solution. Renee was sold on Digioh’s ability to get detailed visitor data such as referral source so that different Digioh lightboxes could use this data to deliver highly targeted messages and offers. MadeOn first launched a coupon offer on exit campaign. The campaign worked by displaying a Digioh lightbox offering a 15% discount coupon to all visitors when they exited the site. In exchange for the coupon, visitors signed up to receive the MadeOn email newsletter. MadeOn liked how the Digioh Lightbox performed and determined there was enough of an interest from site visitors to proceed to the next level. On day six, it launched a contest to win a gift certificate for $50 to be spent on any MadeOn product. What made this giveaway unique was the ability to “share the contest” through email referrals. Anyone who entered the contest could send an invitation to a friend. If that friend also entered the contest and either of them won, both would receive a gift certificate. To conduct the campaign, MadeOn created a new Digioh lightbox to display the contest announcement and entry form to unconverted website visitors (those not yet subscribed to the email newsletter). It also sent the contest announcement and entry form to its existing email subscribers using its MailChimp account. To combine the two prongs of the campaign, MadeOn integrated the Digioh lightbox with the email list in MailChimp. Over the total 10 days of conducting the lightbox campaigns together with the email campaigns, MadeOn Skin Care gained an average of 27 new subscribers per day compared to their 2.3 subscriber average prior to using the Digioh Lightbox. Digioh’s technology and core competencies were key factors behind MadeOn Skin Care’s choice of solution. But it was Digioh’s willingness to go the extra mile and offer personalized attention to MadeOn’s owner, Renee, that made it stand out from the crowd. “Rishi and Kaushal walked me through my campaigns, showing me all the capabilities, answering my endless questions, and responding in a timely manner when I emailed ‘can it do this?’ questions. MadeOn is very excited about putting these ideas into play and looks forward to continuing its productive and profitable relationship with Digioh. To view a digital version of the customer story, click the image below. You can also download and print a free copy. Sign up to get email updates. If you ever change your mind, you can unsubscribe using the link at the bottom of the emails. Your leads may not be ready to make a purchase when they first visit your site. Lead nurturing focuses on educating those leads, and presenting them with content they find valuable to foster a sense of trust with them. By doing so, your visitors will look favorably on your brand, and ultimately, when they are ready to make a purchase, you’ll be at the top of their list. In today’s marketplace, it’s common for a consumer to do some research before making a purchase. By providing valuable information about not just the product you offer, but about the type of product you offer, you can build a rapport between your company and that potential customer. By doing so, you’ll make the customer aware of your company, sometimes months in advance of their actual purchase. If they can find the info they’re looking for on your site, they’ll come to trust your company, and consider you an expert in your field. That trust makes them far more likely to buy from you when they’re ready to make a purchase. Newegg is easily the best lead nurturing success story around. Some years ago, they realized their users were smart. Really smart in fact. So they introduced the eggXpert section of their site in which they encouraged more tech-savvy users to help those less knowledgable. Newegg quickly made their way to the front of the electronics retailer pack, and that had a lot to do with the information their customers were able to find on their site. The Digioh Lightbox is a powerful tool that can help your lead nurturing efforts. It can be used to give away ebooks and other files containing useful info for your visitors. By providing them with useful files, you’re working to build that trust with them, and show them you have knowledge that can help them make a purchasing decision. The lightbox can also be used to collect information from your visitors, and import it directly into over 30 different email service providers and marketing tools including Salesforce, Mailchimp, Constant Contact, and Nimble. If you’re using it, our lightbox can connect with it! You have to see it to believe it – click here to reserve an appointment for a demo today!